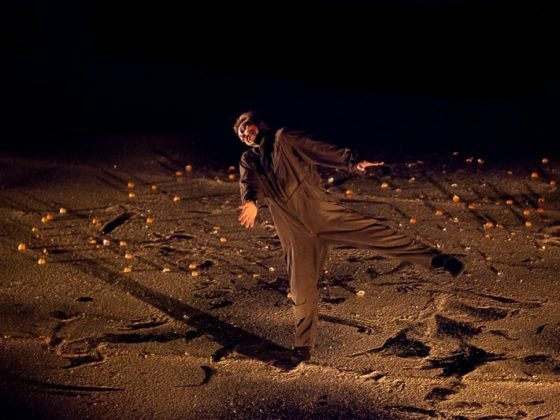 As night follows day and inhaling follows exhaling, this two man show spins around the stage in mesmerizing rotations. Through the ingenious use of lamp objects, the artists create an intimate and mysterious universe full of surprises, the expression of the body and technical mastery. 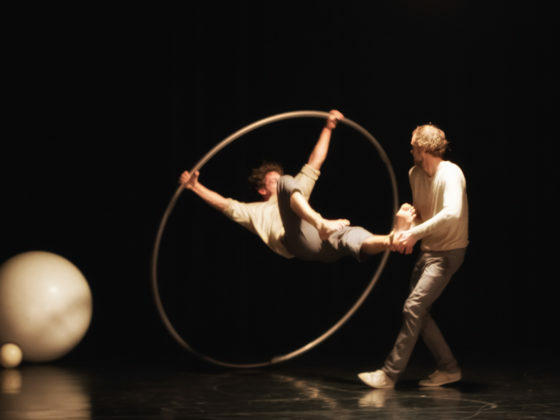 «Respire» is a circular adventure that will take you into an acrobatic and poetic whirlwind, to the rhythm of the breath. 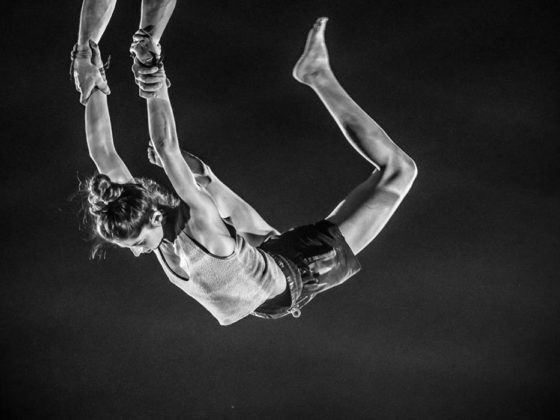 Circoncentrique is a contemporary circus company. We like to think of our bodies as our playground. 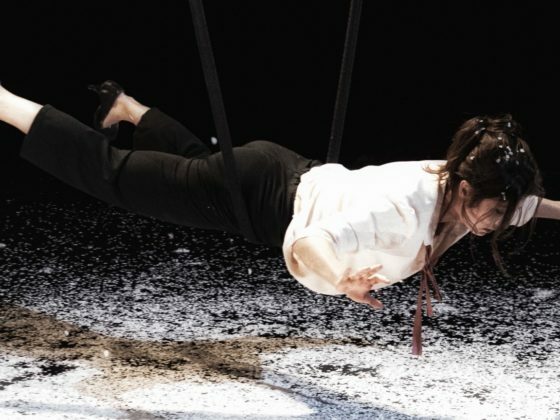 Circus techniques, burlesque, dance, games, … all this, plus our energy, brings us into unlikely universes, and researches that don’t turn around. perpetual surprise and rhythm…, combined with a lot of humor. 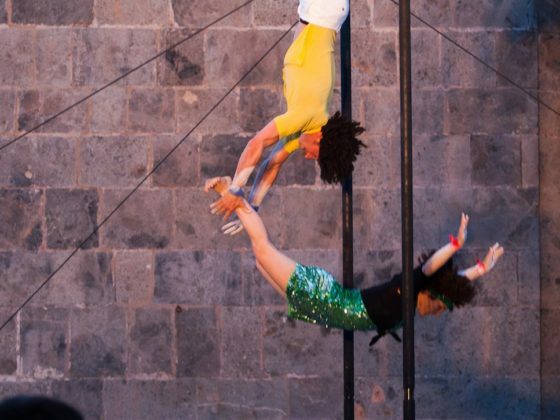 Alessandro Maida was trained at Scuola di Circo Flic, in Torino then in Ecole Supérieure des arts du cirque de Bruxelles (ESAC). 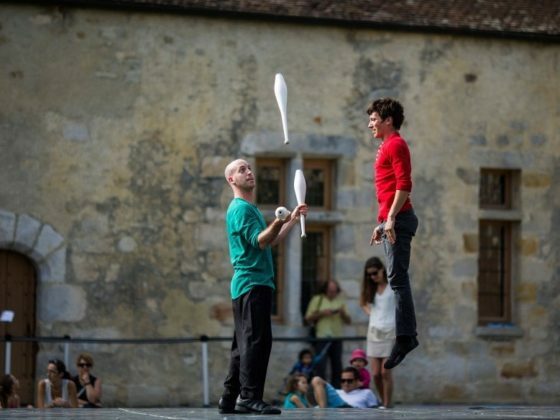 He received the Public prize at the festival “Pistes de Lancement” 2010, in Brussels. He is one of the founders of Magda Clan Cie and its shows “Era” touring since 2012.